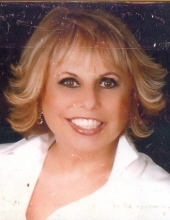 Violeta Bianca Pellon, 74, Cary N.C. resident, passed away Sunday morning, March 24, 2019 at her home. Born in Camaguey, Cuba, her parents were the late Jose Ramon Fernandez and Violeta Lucia Pellon. She had been employed as an accountant at several major hospitals, those locally to include Duke and UNC. She was of the Catholic faith. Violeta is survived by her husband, Edward Darrell Flowers, a native of Faison; a daughter, Violette DeAyala of Miami, Florida; three grandchildren; and a sister. Graveside services will be held Thursday, March 28, at 11 a.m. in the Faison Cemetery in Faison, N.C. (410 East Mary & Elias Street, Faison NC). The family will greet friends at the cemetery after the service. In lieu of flowers, memorial gifts may be made to Transitions Life Care, 250 Hospice Circle, Raleigh NC 27607. To send flowers or a remembrance gift to the family of Violeta Bianca Pellon, please visit our Tribute Store. "Email Address" would like to share the life celebration of Violeta Bianca Pellon. Click on the "link" to go to share a favorite memory or leave a condolence message for the family.